Here is a KEEN look back at some of our top highlights from 2017. With another year in the books, here is a KEEN look back at some of our top highlights from 2017. From moving to our new Edmonton home, to welcoming some lovely new faces around the office, and even more acts of KEENness made, we look ahead to 2018 and say—bring it on! It’s no secret that here at KEEN we love a good potluck. So, naturally, we combined our creative talent with our passion for good food, bringing to life the KEEN in the Kitchen Cookbook. Kicking-off 2017, we were recognized at the 38th Annual ACE Awards, hosted by the Advertising Club of Edmonton, where we were awarded Distinction in the Self Promotion category. To date, our cookbook has been recognized for three awards. In celebration of our move to the new Edmonton office, we hosted a bash that is surely a top highlight of 2017. From a custom cocktail co-created with Baiju, to sweet treats from Pinocchio ice cream, and a charity paint throw raising money for cancer research, it’s safe to say our So Fresh and So Keen party is one for the history books. With a goal to raise $2,500 this year for Extra Life, we shot it out of the park, raising a grand total of $5,255 to go towards the Stollery Children’s Hospital Foundation. 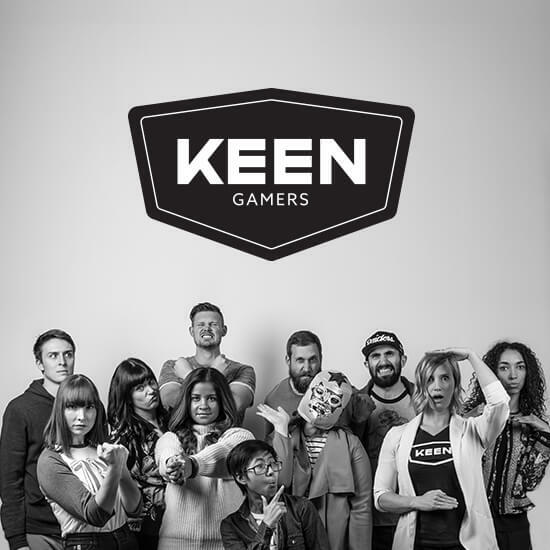 This year, the dedicated ‘day of play’ occurred on November 4, 2017, where some determined KEENers participated in a 24-hour gaming marathon. Complete with virtual reality games and a 12-hour Just Dance marathon, this great Act of KEENness just might make another appearance again in 2018! So, stay tuned! As 2017 comes to a close, we reflect back on our KEEN year with great pride, and even more ambition to make 2018 another unforgettable year. Happy New Year from all of us at KEEN!